Ever been to Wolfgang’s Vault? It’s an online archive of live shows that are free to stream on your PC. And the latest addition is The Who at The Spectrum, Philadelphia in 1973. 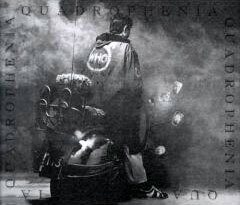 This was the Quadrophenia tour, so there’s a number of live tracks from that album, as well as a few old favourites too. And if you don’t fancy that, there’s plenty more Who live shows, as well as an endless list of other acts from various decades – although the majority are ‘name’ acts so don’t go looking for anything really obscure. It’s free to register, once you’ve done that, you can listen to what you like.